The Best Selling Plastic Cat Bed in Europe! 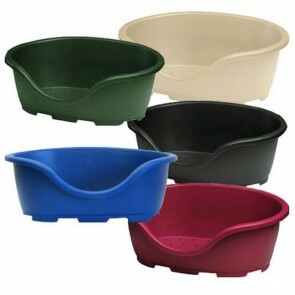 Available in 3 Colours and 8 Sizes from 15 (38cm) to 40 (102cm). This is the Original Breathing Plastic Cat Bed with Ventilation holes to the base, Wide Rim Sides for Extra Comfort and High Fronted to keep Cushions and Blankets in place. 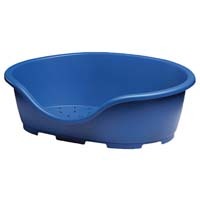 The Heavyweight Plastic Cat Bed is Durable and Plastic Feet help to Prevent Movement! We stock a wide range of Cat Beds including: Hooded Cat Beds, Duvets, Bean Bags & Donuts suitable for small and large cats, including plastic cat beds which range in size from 15 to 21 inches available in 3 different colours, just look at the other pages on this website Soft Cat Beds. We also stock Cat Radiator Beds that allow a cat to sleep on the side of the radiator for wrap around warmth and comfort. Cradling the cat in a safe warm hammock which moulds instantly to the shape of your cat for maximum comfort. Plastic Cat Beds: 5 stars out of 5 based on 0 user reviews.